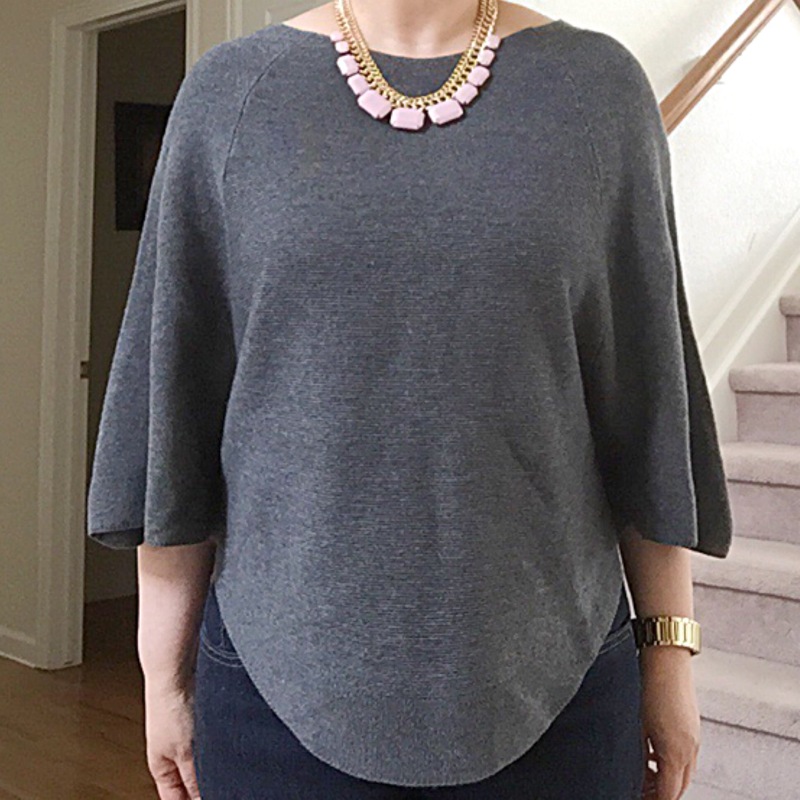 The cape or capelet is not for everyone; it can be tricky to pull off depending on the pairings you choose. Some capes can be bulky or so oversized that it can swallow me up to the point that I resemble a couch with a throw blanket over it. And I don’t want to be mistaken for a coffee plantation emblem, sans the donkey. So when I stumbled on this version from The Limited from their latest arrivals for Fall, I immediately reserved it online so I can take a closer look in store…and I’m so glad I did. It’s a fantastic lightweight, not too big, not too long, not too batman-ish, perfect capelet. I’m beyond ecstatic to finally find one that’s easy to wear and won’t break the bank. I got it in the XS/S; for reference, I am 5’4″ and about 125 lbs. You can see in the pics below, it falls at a flattering length, covers where necessary but doesn’t overwhelm my frame. I have plenty of room to layer under it. I also love the u-shape edge on the front and back. 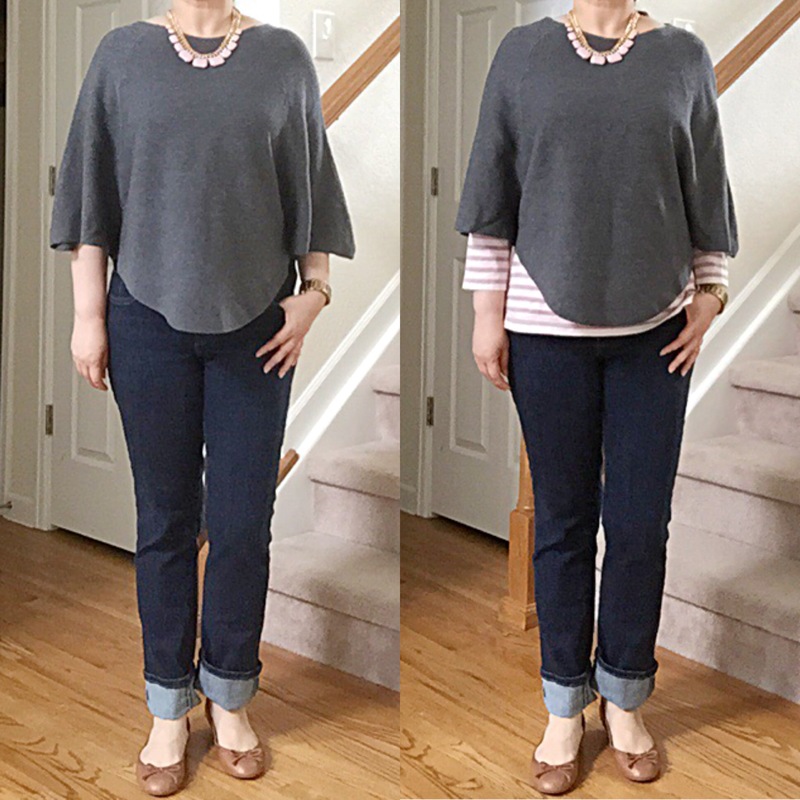 Hope this quick review and outfit pics help if you have the same challenge of finding the perfect cape for Fall…. I suppose one can have worse problems 😉 That’s it for now!